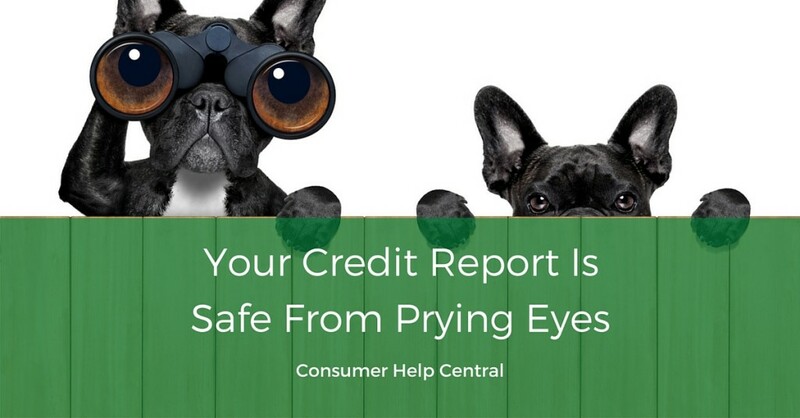 Who's Peeking At Your Credit Report? Remember the old TV show Bewitched? How Mrs. Kravitz used to peek through the windows in an attempt to get a glimpse of what was going on in the Stevens household? Shut the drapes! I’d yell at the screen time and time again. In the real world, you’re right to worry about the privacy of your credit information. When the Fair Credit Reporting Act was being drafted, Congress made sure your credit reporting information could be released only for specific permissible purposes. In order to obtain a copy of someone’s credit report, you must have a permissible purpose. Without having a reason plucked from the language of the statute, it’s not permitted. In that way, Congress ensured that you have the protections of privacy when it comes to the release of your information. whenever there’s a legitimate business need. Your nosy neighbor, a stranger, or some random company can’t just decide to grab a copy of your credit report. Without a permissible purpose, they’ve got no legal right to do so. If someone gets a copy of your credit report without a permissible purpose, you’ve got the right to sue them for violating your rights. Of course, that’s cold comfort – it would be better to avoid the lawsuit and simply lay hands off your report. Unfortunately, the world is not always a logical or perfect place. The only way to be protected is to get copies of all three (3) major credit reports every few months and vigilantly review them. I know, you get only one copy of each report per year. Paying for them is a drag, but it’s a drop in the bucket financially as compared with the damage Mrs. Kravitz can do otherwise.